Fitz’s Fish Ponds is expanding and we are looking for motivated, forward thinking, hard-working, innovative, able to take direction team players to help fill our growing team. If you are looking for a new career or a new place of employment perhaps this is the opportunity for you. We are looking for men or women to help fill our construction and maintenance teams. The applicant will be required to lift at least 75 lbs throughout the day, work on their feet for the entire shift and to be familiar with basic hand tools such as shovels, picks and brooms. Occasionally, we use power tools such as circulating saws, reciprocating saws and jack hammers. The applicant should be a fast learner with a desire to learn and excel in their position. We are looking for individuals who are not comfortable at the “starting position” for long and have a strong desire to go beyond whatever they are doing. 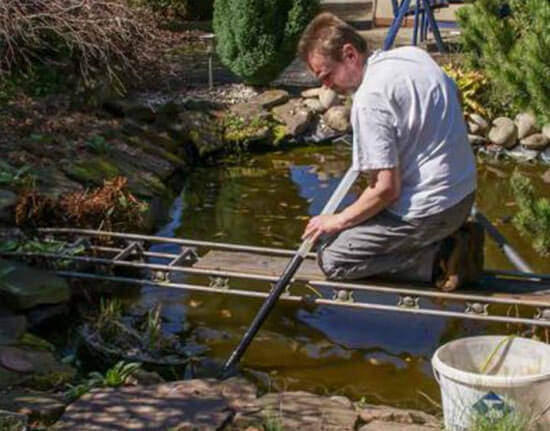 If you enjoy the outdoors, sunshine, working with your hands, Mother Nature and animals then a career at Fitz’s Fish Ponds may be just what you need. We are outdoors every day working to create beautiful waterscapes that blend seamlessly with the surrounding landscape. You may wonder what a typical day is like working for Fitz’s Fish Ponds. The duties vary by each position. 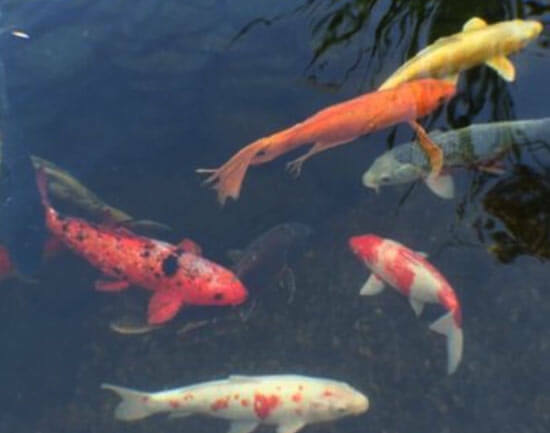 If you are hired on the maintenance team you can expect to see many different styles of water features ranging from small water gardens to large elaborate koi ponds. The maintenance team is responsible for removing leaves and debris from the pond, cleaning out the skimmer and pump baskets. The filtration system will need to be cleaned and serviced, plumbing inspected for leaks or damage and low voltage lighting checked. Koi need attention, too. We inspect for signs of stress or disease and add the proper water treatments. Plants and surrounding landscape get cared for, too. You will get wet by the end of the day and your hands will get dirty. If you enjoy cleaning or organizing and you have a good eye for detail then this may be the spot for you. If you are hired on the construction team you can expect hard, honest work with heavy rewards. Our construction team is responsible for all aspects of landscape construction. If you do not like dirt, sweat and building things then perhaps this is not the job for you. On the daily you may be required to dig, transfer soil, install pvc plumbing, install pond filters, pumps, skimmers and install low voltage lighting. Some days are long and hard due to the amount of physical work or amount of time you are out in the sun but after that hard work you will be able to say that you helped create something beautiful and meaningful to the homeowner.